Russia and China have signed a contract on the delivery of 24 multirole Su-35 Flanker jet fighters, Rostec’s director of international cooperation and regional policy Viktor Kladov said Thursday. MOSCOW (Sputnik) – “The long negotiations have ended with the signing of a contract on the delivery of 24 multirole Su-35 fighters to China,” Kladov told RIA Novosti. He added that China is the first foreign country to sign a contract on the delivery of the newest Su-35s. The Su-35 fighter jet (NATO reporting name Flanker-E) is an upgraded version of the Su-27 multirole fighter. It was first introduced to a foreign audience at the 2013 Paris Air Show. Indonesia, Brazil and the United Arab Emirates have also expressed interest in purchasing Su-35 jets, according to Rostec. 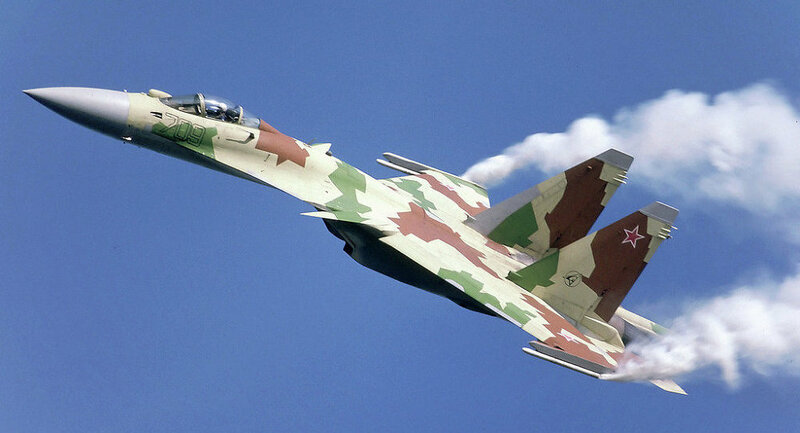 On Wednesday, Indonesian Ambassador to Russia Djauhari Oratmangun said that a Russian-Indonesian joint commission on military-technical cooperation will discuss the purchase of the Russian Sukhoi Su-35 fighters in late November in Jakarta.